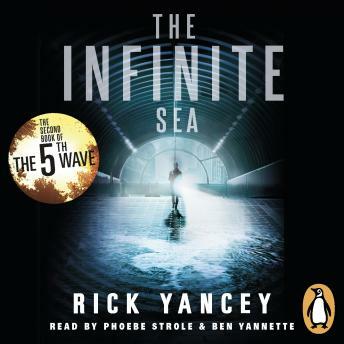 Penguin presents the unabridged, downloadable, audiobook edition of The 5th Wave: The Infinite Sea, the second book in the phenomenal 5th Wave series by Carnegie-shortlisted author Rick Yancey. For Cassie Sullivan and the rest of Earth's remaining human survivors, the situation was already desperate when the 5th Wave hit. It's about to get worse. No one yet knows the depths to which Earth's conquerors - the Others - will sink in order to rid the Earth of the human infestation, nor have they guessed the heights to which the human spirit can reach. Characters introduced in Book One will come to the fore - and others will face the ultimate test.